Before you decide what to buy maybe you'd like to check out our Guide to buying a walk in bath. Information and tips to help you decide. The Florida walk in bath is entered at the front though an inward opening door. The compact design makes the bath ideal for small spaces or where side entry might be compromised by other bathroom fixtures. 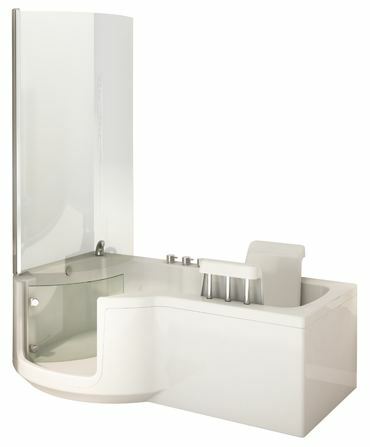 Constructed from premium quality materials, the Florida walk in bath is available with optional extras including a warm air spa, Auto Fill system, chromotherapy lighting, a heated seat and Bluetooth sound system..
A choice of thermostatically protected brassware is available (please don't hesitate to call for assistance) which can be conveniently mounted to the side of the door. The Vermont walk in bath has an outward opening door. A premium quality unit, the Vermont walk in bath has a small footprint size making it ideal where space may be at a premium. With a low step in height and a non-slip foot well, the Vermont bath is available in either right or left hand models and can be ordered with a various luxury options including a warm air spa, Auto Fill system, chromotherapy lighting, a heated seat and Bluetooth sound system. The Georgia walk in bath is a popular replacement for a standard bath as it stands within the footprint of the unit being replaced. Access is via an inward opening side door. 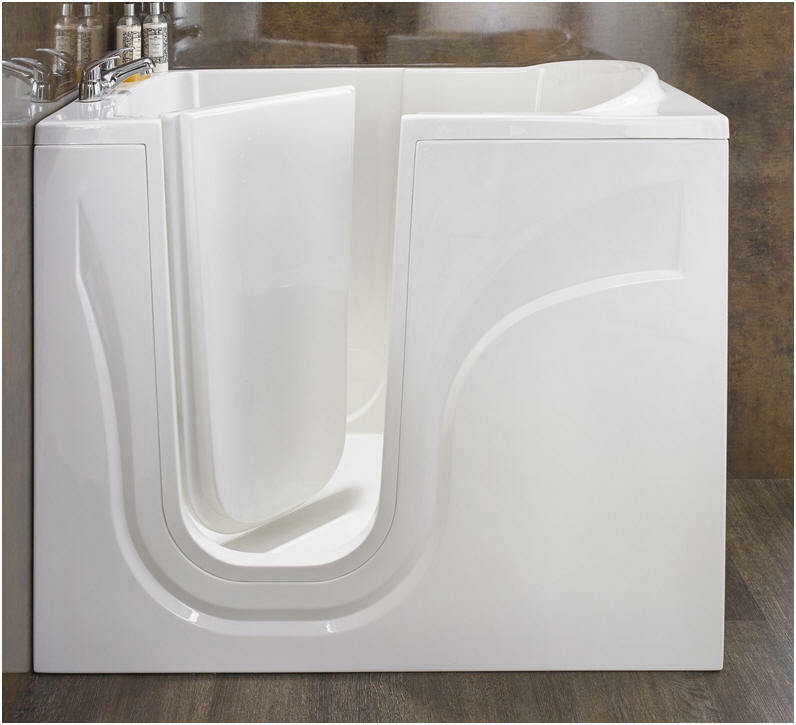 This style of tub bath can be filled to a higher level that a conventional bath and its taller profile offers good support when entering and exiting. 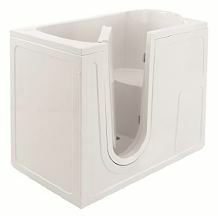 The excellent seat height and the support the bath offers can in many cases negate the need for multiple grab rails. Numerous luxury options such as a warm air spa, a heated seat, chromotherapy lighting, a Bluetooth sound system and an Auto fill function are available to enhance this attractive bath further. 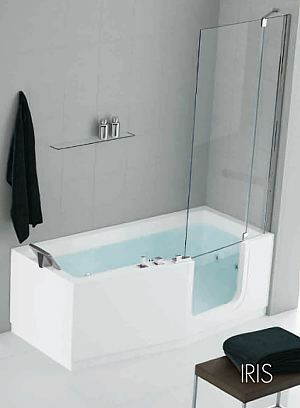 Add a hinged glass shower screen to create a shower in which you can stand or sit. 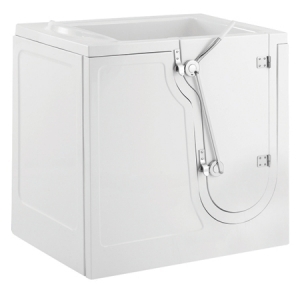 The Oregon walk in bath is an extremely popular mid-size tub model with an inward opening side entry door. With the addition of a hinged glass shower screen the Oregon walk in bath can be transformed into a shower in which you can sit. The bath may be handed with the door on the left or right hand side as you sit in it. The smaller footprint of a tub style bath takes up less floor space than a conventional bath. The taller profile offers the user excellent support upon entry and exit, and good depth to which it may be filled. Optional luxury additions include a 16 jet warm air spa, a heated seat, chromotherapy lighting, an auto fill function and Bluetooth sound system. The HAVEN walk in bath has the lowest step in height of all the tub style baths we offer. This, together with an inward opening door, slip resistant seat and floor and the pure minimalist lines make the Haven walk in bath a beauty to behold. During manufacture the HAVEN bath incorporates a silver-based anti-microbial technology within the surface gel coat. This process known as BioCote eliminates 99.9% of potential super bugs such as E.Coli, Salmonella and MRSA that have become resistant to normal cleaning methods. Because BioCote is integrated during manufacture it cannot be wiped off or warn away - unlike liquid disinfectants. As such, you can enjoy an enhanced level of hygiene and protection from microbes that are becoming resistant to traditional cleaning methods. Your HAVEN walk in bath can be further enhanced with the addition of several custom options including Chromotherapy lighting, a warm air spa, a heated seat, Bluetooth sound connectivity and even an Auto Fill function. The California walk in bath is a spacious model and one of our longer tub style baths. Entered via a side door which can be ordered on the right or left hand side, the California bath boasts a spacious interior. The California walk in bath can be further enhanced with custom luxury additions including a warm air spa, a heated seat, an auto fill system and Bluetooth connectivity to the internal sound system. This bath is suitable for use with our hinged glass shower screen adding to the function by creating a shower in which you can stand or sit. The Texas walk in bath is the most spacious tub style model we offer. Entry to the Texas bath is through a large outward opening side door. The interior offers generous seating. But take care, this large bath can pose a problem when it comes to getting it through a building. Tight turns, stairways and doorways should be taken into account if you are considering a purchase. Luxury options available on the Texas bath include a warm air spa, a heated seat, chromotherapy lighting, an auto fill and Bluetooth connectivity to the built in sound system and Hinged glass shower screen. The Arizona walk in bath is a conventional style bath with side entry door access. Ideal as a straight replacement for a conventional bath. 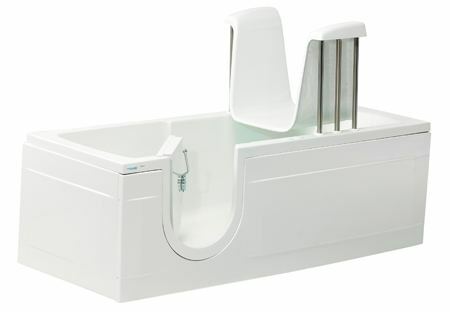 The Arizona walk in bath can be supplied in two lengths (1500mm and 1700mm) and with the door on the left or the right when seated in it. Luxury options include a 14 jet self-purging air spa, chromotherapy lighting, an auto fill system and Bluetooth connectivity to the built in sound system. 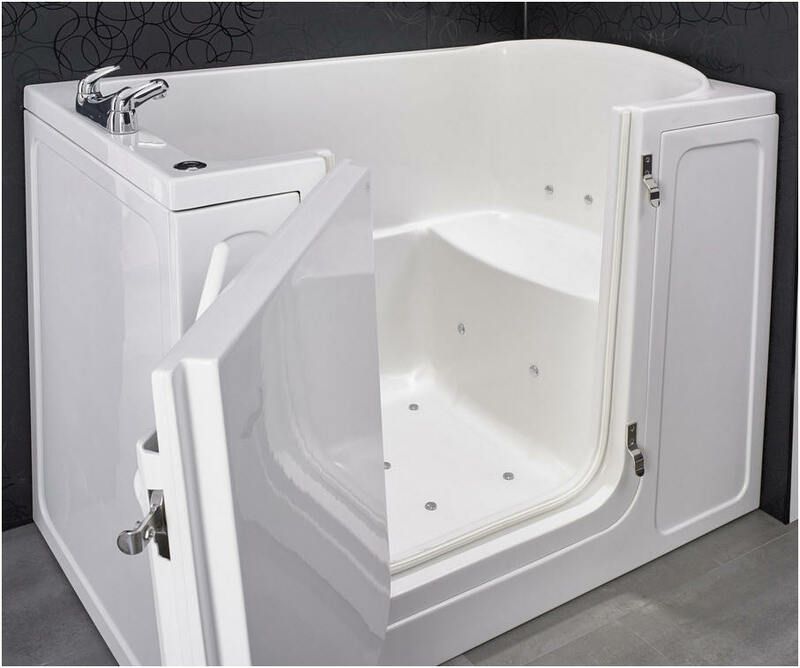 The Montana walk in bath is styled on a conventional low level design but incorporates a built in powered lifting seat and side entry door. 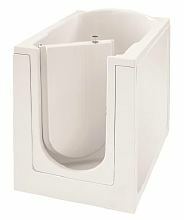 The Montana makes an ideal and simple replacement for a conventional low level bath. The Montana is available with the door on either side as you sit in it (R or L). The integral powered lifting seat can be supplied with either a soft belt or rigid seat. Available in 1700mm and 1500mm long models, the bath can be customised with various luxury additions including a 14 jet warm air spa, chromotherapy lighting and Bluetooth connectivity to the built in sound system. The Montana bath now has a shower screen available so you can also use it as a shower. A walk in bath in keeping with the traditional design of long and low but with the added benefit of a lifting seat and showering area. The Louisiana walk in bath is 'P' shaped to facilitate a wide area at one end. This can be enclosed with an optional screen that adds another dimension to the function - a shower area. 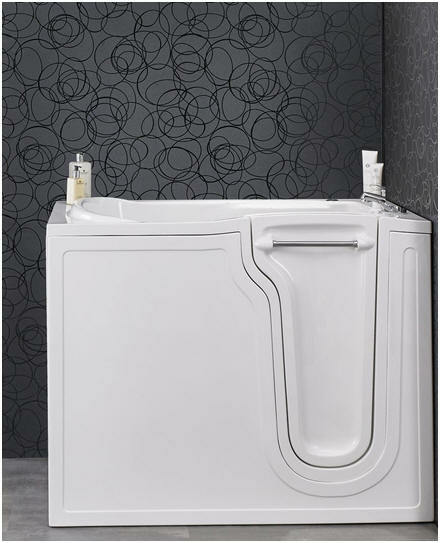 An optional air spa system can also be added for ultimate luxury. A lifting seat is included with all models but you have a choice whether to have a rigid or a belt seat. This is simply personal choice as both will lower or lift the occupant gently and evenly. The Louisiana bath is available to several specification levels. Each enjoys the 'P' shape profile, a lifting seat and glass door, but to that can be added a shower screen, lifting seat, brassware and hydrospa. Same price for either length. The stylish Easy Riser walk in bath is reminiscent of a period 'Slipper' bath. Designed to occupy the same footprint and a standard bath, The Easy Riser makes an ideal retro-fit. 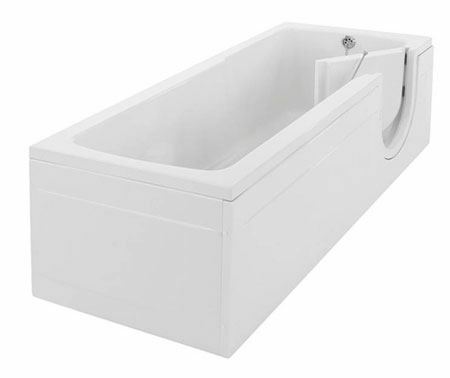 The bath is available in two models - the Peninsular (shown) and the Corner. Panels on the Peninsula model wrap around both sides of the bath allowing it to be fitted with the tap end mid-wall. 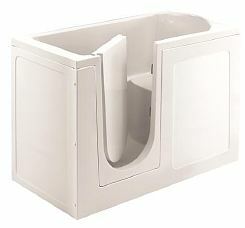 Comfort and safety feature highly in the Easy Riser bath. 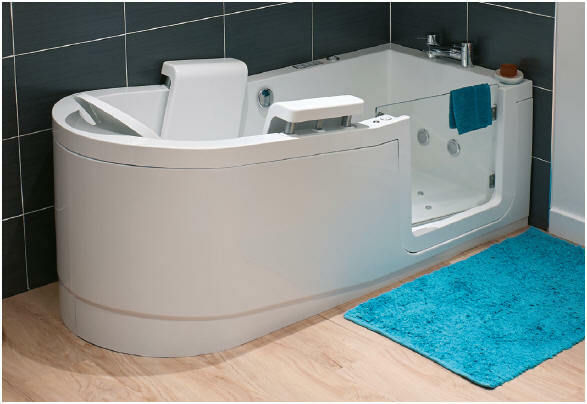 Low step in height, easy access through a wide glass door, non-slip floor, a powered lifting seat with an integrated assistive backrest that gently reclines the bather then assists when they wish to sit up again all contribute towards the luxury of this attractive bath. Your Easy Riser walk in bath can be further enhanced with the addition of several custom options including Chromotherapy lighting, a warm air spa, Bluetooth sound connectivity, an Auto Fill function and a hinged glass shower screen. *Limited Special Offer: For your peace of mind and to ensure perfect operation of your Easy Riser walk in bath we are currently offering FREE on site commissioning by a factory engineer once the bath is fitted. This is where thoughtful design and Italian style have come together. A conventional full length walk in bath that offers something for all the family. A walk in bath that truly offers something for all the family. Whether you wish to bathe or shower, whether you are young and fit or in need of easy access, this beautiful bath will adorn your bathroom. This Kubex product is withdrawn from sale.